Most people go to work and earn their salaries. Some of them are happy, some are still struggling and complaining. Meanwhile, other people are making good money and live luxury lives without putting evident efforts. But are you sure that the situation is really like you see it? The truth is, earning good money is something that everybody can do. If you aren’t lazy, there are many ways to earn that are open to you. At the same time, there are things which you must avoid. Be smart, don’t be lazy and start finally earning as much as you need! Earning money is a topic that attracts many people. That is why there are a lot of scammers who promise millions. All you have to do is just to give them your money. Yes, you can be sure they will get the promised millions, but you may lose everything if you trust them. If you see any of these things, keep your money in a safe place. “Invest in ABC and get a guaranteed income” - You are an adult person, and you understand that even your salary isn't guaranteed. How then can you believe that if you give them your money, you will become rich? “Bring your friend and make him pay” - You may get some share of your friend's payment or may not. Just think for a while how many friends you can bring. And how much can you earn from that? “Give me your money, and I will make you a millionaire” - Come on, why then this person is still not a millionaire? Entrusting them your savings is simply unwise. There are ways to get money easily. For example, why not try a lottery? If you hit the jackpot, you will provide a careless life for you and your children. Or why not become an Instagram star? Do you know that famous people are paid to take bad selfies? Well, for that you have to be really famous. A good way to become rich is to make YouTube videos that go viral. You will be paid enormous money by huge companies, just for the opportunity to put ads there. You may disagree that those easy ways aren’t easy at all. At least, they aren’t for everybody. If you are the person who prefers to work hard and to get the desired results, then the following tips are for you. Pick up one, or even some of them, plan and become rich. You will have to work for that, but this is what you want, isn't it? Do you know some field and enjoy working on it? Does it offer any investment options? 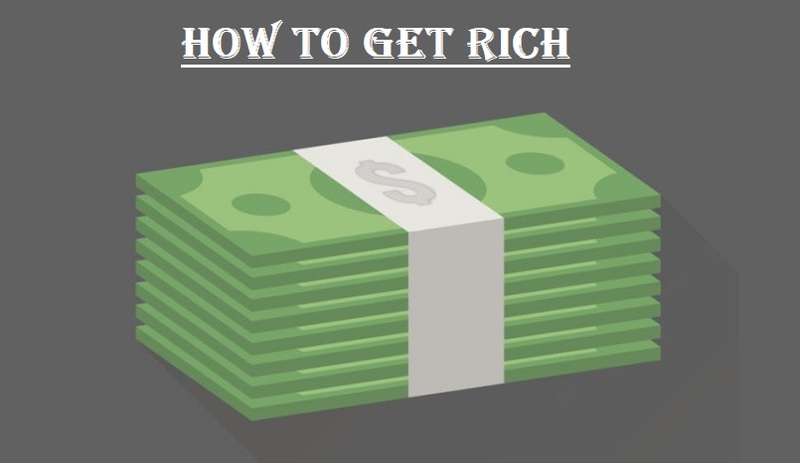 This may be the way that will lead you to wealth. The earlier you invest, the more chances you have to become rich. Also, it is good to invest in new things, as later, when they become popular, they start generating income for you. A good way to spend is to spend on things you like, and you need. Don’t buy a huge house to show off. Buy the house of the size you need and based on what you can afford. If you like eating out, it is not a problem to spend on it as well, but there is no need to go to the most expensive restaurants just to show your friends that you can do it. Take control of your finances. You should know how much and what you spend your money for. Then you will know what you can afford and what you better skip. Hidden Income – Have You Heard About This? No need to hide your money in a box somewhere under your bed. Hidden income means money that you can get if you negotiate and optimize your bills. Renting a place? Why not ask for a discount? Why not turn off lights in your room for that couple of hours when you aren’t there? Or why not get a cheaper cell phone plan? Can the internet speed be reduced? Change the plan, and you will save on it as well. There are so many options to reduce your payments, why not do so then? Our opportunities are just here. Open your eyes and take them. Save on things that you can save on. Don’t spend on things that you don’t need. Reduce your expenditures, and you will see, how much richer you will become. Then, if it still not enough, make an effort to earn more money, and the life will become better.